We all enjoy reminiscing about the “good old days” when, so we ruminate, all was simpler, clearer, happier. When I was a graduate student in Church history, our acclaimed professor, Monsignor John Tracy Ellis, used to say, “There were no ‘good old days’. History teaches us that each era had towering challenges and woes. In fifty years, people will call today ‘the good old days’. The only real idyllic time was the Garden of Eden, and we ruined that, too!” Was Monsignor Ellis gloomy? Probably. Realistic? For sure! We Catholics are often tempted to long for “the good old days” of the Church. Oh for that time, we daydream, when everybody went to Mass, all marriages were blissful, every family united and loving, tons of priests and nuns, families with a lot of kids all in Catholic schools, when everyone knew and heeded the Ten Commandments and Eight Beatitudes...a Catholic Mayberry! Once again, history sobers us up! Is this ever evident in an excellent new book that is spicing up my summer reading, “Dagger John” by John Loughery. “Dagger John” was the nickname of the fourth bishop of New York, John Hughes, who would become our first archbishop in 1850 when Blessed Pius IX made us an archdiocese. His years as our pastor, 1838-1864, were about as tumultuous as one could imagine, and a study of them will quickly snap us out of the fallacy of glamorizing the past. For one, “Dagger John” was constantly searching for vocations. He badly needed priests, and sisters, and brothers! Thus, did he welcome priests, and religious men and women from abroad, because local vocations were scarce. Sound familiar? Every Sunday we pray, do we not, for an increase in vocations; and still today do we depend on generous clergy and religious from foreign countries. Two, not only was Archbishop Hughes worried about not enough priests; he shed tears over some who gave scandal. Some of the priests he had were money-grabbing, drunks, and guilty of lustful lifestyles. Could be 2018! Thank God that the vast majority of our priests are honorable, virtuous, and zealous, but we are still exhausted by scandals. Three, while he hailed the deep commitment of his people to their Catholic faith, he also realized that so many of them were lax. Their own knowledge of their religion was superficial; they could be infrequent in Mass attendance and the Sacrament of Penance, and they found the American culture—with its stress on money, getting ahead, and a society celebrating drinking, violence, and promiscuity—at times toxic to their virtue. Isn’t all of that still a challenge today? Then, four, was an American suspicion of, and at times a downright hostility toward, the Catholic Church. Archbishop Hughes realized his Church was viewed as foreign, superstitious, ignorant, un-democratic, authoritarian—in other words, un-American! In some cities, e.g., Boston, Philadelphia, Louisville, anti-Catholic mobs burned convents, churches, the homes of Catholic families, and Catholics were beaten and murdered. This bigotry had various names: Know-nothings, and nativists, for instance, but it all was the same: a widespread prejudice that Catholics were lazy, drunken, dirty, priest-ridden, ignorant, and superstitious. All this, Hughes found, not just from crude rednecks, but from elites, such as Walt Whitman, the celebrated poet. 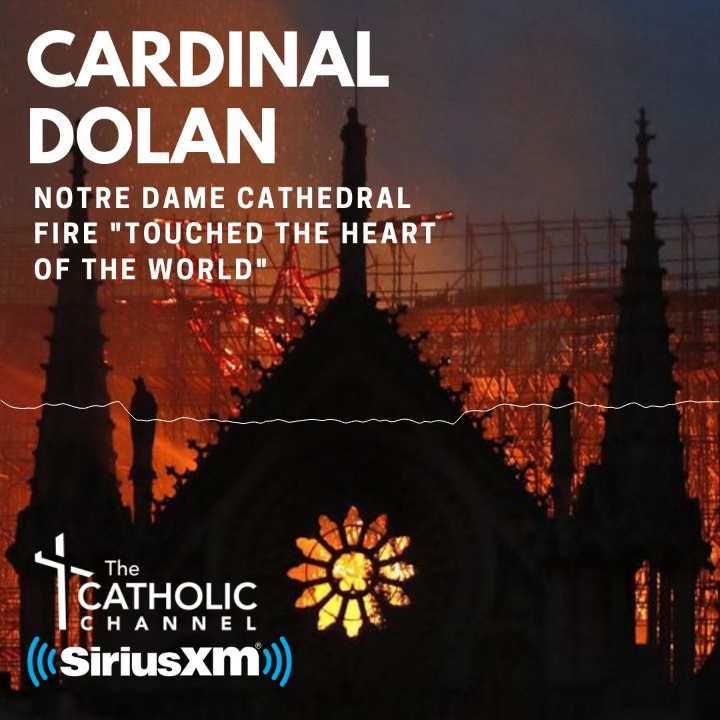 Don’t fool yourself: While, thank God, violence against Catholics in this country is gone, a snobby distrust of committed Catholics who take their faith seriously, and try to put it into practice in daily life, is still around today. Five, how to welcome, defend, and care for the immigrants daily coming ashore in New York. For John Hughes, these refugees were mostly Irish and German. They arrived, especially the Irish, emaciated, penniless, and without a clue about their new home. The Protestant waspish aristocracy of New York scorned them. The archbishop embraced them. Sixth, John Hughes worried terribly about the education of his Catholic kids. The public schools were less than enthusiastic about welcoming and respecting them; even when enrolled in them, Catholic children had their religion ridiculed and dismissed. So, in many ways, John Hughes became the patriarch of the Catholic school system in this nation by aggressively building schools where the education was excellent, not just in the three R’s, but in the fourth, religion. Even his critics, and their name was legion, eventually would admit that no institution helped newly arrived children become virtuous, educated, responsible American citizens better than Catholic schools. Finally, my predecessor John Hughes had—hate to bring it up—big “money problems.” He, and his priests, were constantly having to ask their people for donations. Daily were the archbishop and clergy deluged with petitions for new parishes, repair and expansion of current churches, new schools, health care and charitable foundations. No government help, of course, so they had to go begging. Financial ruin threatened the archdiocese often, but the archbishop was steadfast in his trust in God, and in his priests and people. He made it through! Well, this successor of John Hughes today still trusts in Jesus and the generosity of his people and you come through! Our schools, Catholic Charities, Cardinal’s Annual Stewardship Appeal, Renew + Rebuild...I keep asking, like John Hughes did, and you keep giving! Thank you. One last point: “Dagger John” Hughes was an extraordinarily effective, perceptive, articulate shepherd, a man of faith and dare. But, my last thought, he also made big mistakes and unwise decisions. Sometimes he unintentionally hurt priests and people and left them wondering if he even listened to them. Well...there it is again! That flaw then, is true today as well, I confess, in John Hughes’ tenth successor as archbishop! Sorry!